We are accepting new patients! 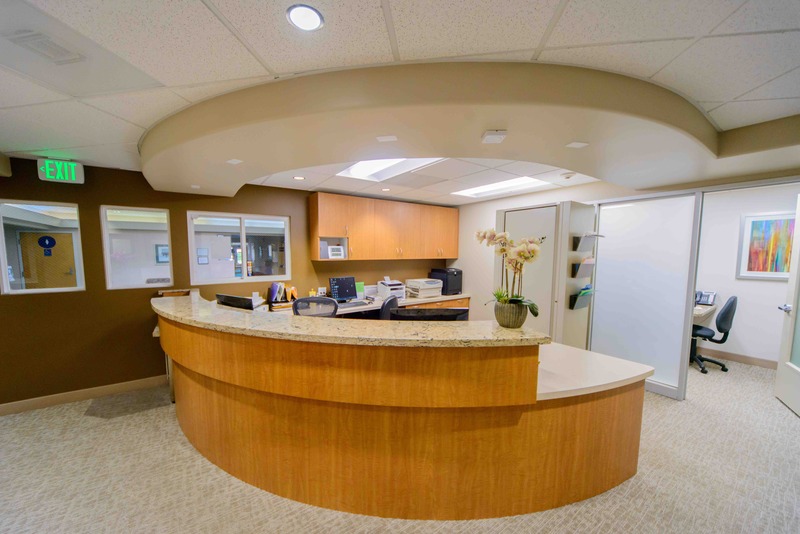 If you are a new patient or interested in becoming a new patient this page will tell you everything you need to know about your first visit to our office. Your first visit/appointment will consist of a consultation explaining your diagnosis and treatment options. Occasionally if all exams and questions are answered so that it is safe to proceed, surgery can be performed the same day as the consultation. However, a complex medical history or extensive treatment plan will most often require an evaluation and a second appointment to provide treatment on another day. Here is a complete breakdown of everything from scheduling your first appointment, what you need to bring, and what you can expect once you are there. 1. Call Our Office And Schedule The First Appointment. Once you or your dentist has determined that you need to see Dr. Chun, the first thing you need to do is call our office to schedule an appointment. When you call our office our receptionist, Stephanie, will likely be the one to assist you. She will ask you to bring three things: referral slip, x-rays, list of medications, and insurance information. Stephanie will then find a time that is compatible with your schedule for you to come in for your first appointment. Referral Slip. If your appointment is a result of your current dentist or doctor referring you to us we will want to have the referral slip from your dentist. X-rays or CT Scans. If your referring dentist has taken X-rays or other imaging for your case we will ask your dentist for those images (if you did not have any x-rays taken that is not a problem we can take x-rays and any other necessary imaging on your first appointment. List of Medications. Get a list of any and all medications that you are taking to ensure that it is safe for you to receive treatment from Dr. Alan P. Chun. Insurance Information. If you carry insurance, please provide that information at the time of consult so that we can check your benefits prior to you leaving your consultation appointment. 3. At The First Appointment. Fill-out Paperwork. When you arrive at your first appointment there are a few papers that we will have you fill-out: Medical History, Patient Information Form, Financial Policy Form, and HIPAA Compliance Notice. NOTE: If you would like to save time at your appointment, you are invited to download and complete these forms prior to coming into our office. Medical History Form – Brief overview of past medical history. Patient Information Form – Name, Address, Insurance Information, Emergency Contact, Name of Referring Dentist. Financial Policy Form – You will read through, review, and sign. If you have specific questions regarding our financial policies you can visit our Financial Information Page and Also view an electronic version of our Financial Policy. HIPAA Compliance Notice – You will read through and review for your information. Dr. Alan P. Chun will conduct the consultation. Dr. Chun will review the patient’s medical history form to make sure that it is safe for the patient to receive treatment. Dr. Chun will conduct an oral exam in order to gather all the information that he needs to craft the treatment plan for the patient’s individual scenario. After Dr. Chun gathers the necessary information he creates a treatment plan or sometimes multiple treatment plan options to provide the patient with his recommendation on how the patient should proceed. It is very important that our patients are fully informed as to the procedure that Dr. Chun is recommending, and the options that the patient has in the procedure or various treatment plans (if applicable). We always try to provide the treatment option at the time of consult. NOTE: Typically, the only time that the treatment option is not provided at the consultation is if the procedure is or needs to be coordinated with another medical doctor or dentist. For example, if the patient is going through orthodontic treatment, Dr. Chun may need to coordinate with the patient’s orthodontist prior to completing the treatment plan. The Wisdom Teeth Educational video is about 7-8 minutes in length. The video helps inform the patient of all that is involved in the third molar (wisdom tooth) extraction. Dr. Chun tries to accommodate the patient’s schedule by proceeding with treatment on the same day if time allows and the medical history of the patient is acceptable to proceed with the procedure immediately. In some cases, Dr. Chun will advise that the patient schedules an appointment at a later day and time.